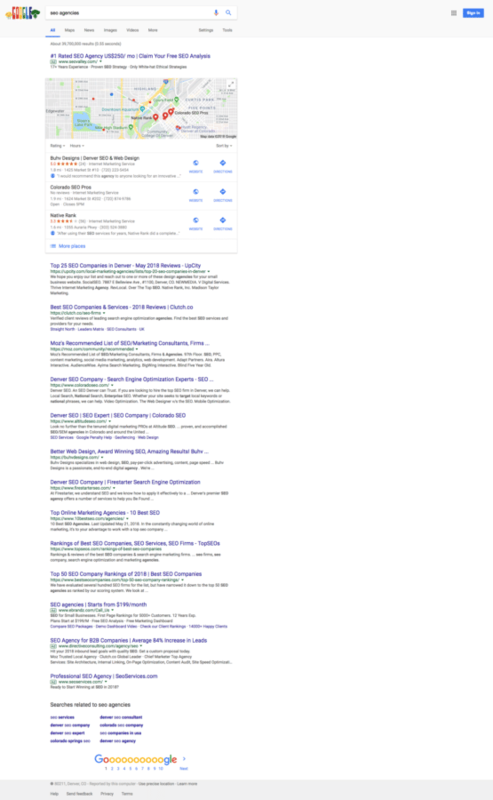 Over the last few years, Google has undeniably made a lot of changes to their search results pages (SERPs). If you work in SEO you can probably point out hundreds of small changes, and if you’re just a marketer or an average Joe then you’ve probably felt like “something” is different. 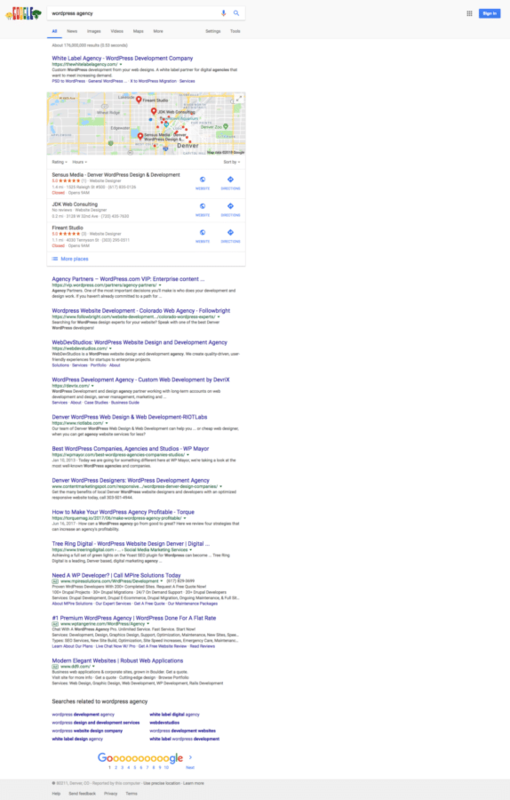 As someone who looks at “consultant” and “agency” search results a lot, as they are a main driver of Credo’s business, I’ve noticed some alarming changes over the last year or so that make me wonder if Google is heading in the right direction in my specific vertical. My hope is that Google is still trying to do what is best for their users. While they removed “do no evil” from their Code of Conduct in mid May 2018, I have to hope that they are still trying to make the world better instead of just feeding their own beast of a publicly traded company. Please note that these observations are my personal ones. I am not complaining about them, but genuinely wondering if they are the right thing for the consulting industry overall. My fear is that they are retroactive and Google-serving, not going with the growing trend of remote workers in the world. My hope, if my fear is right, is that Google will recognize this and make needed changes to their search results in this area. 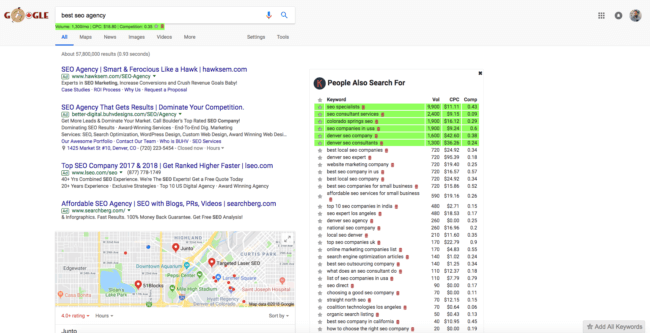 The consulting SERPs are a small part of their overall search experience of course, but at a broader trend level it could be alarming for them. If we extrapolate this approach across services that used to be location-based but now are becoming location-independent through technological improvements, an interesting picture could emerge. 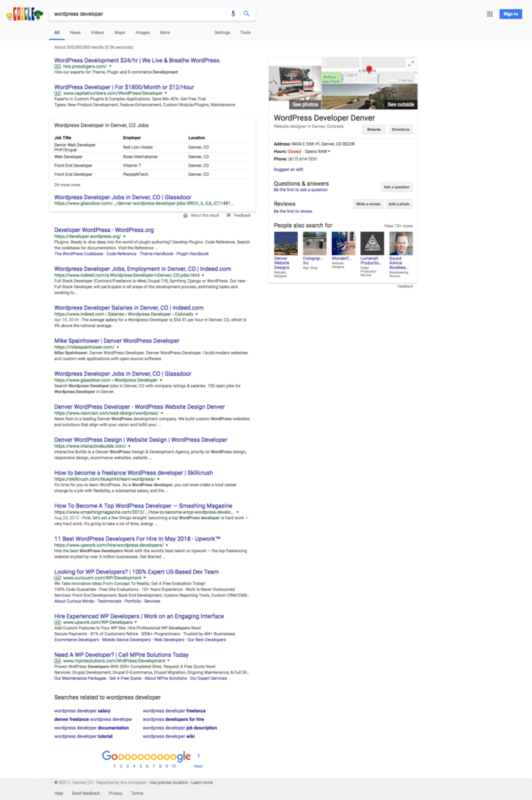 Before I get into the background about why I think this has happened and where I think Google needs to go instead, let’s look at how [consultants] and [agencies] search results are currently configured. 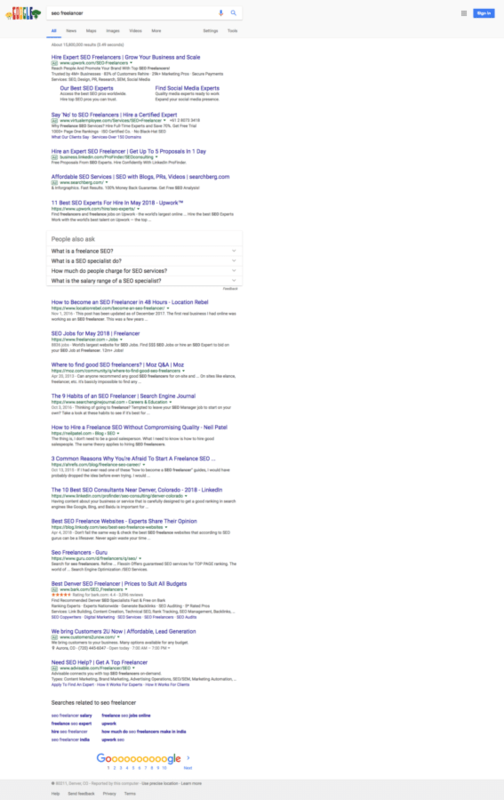 I have also included a couple of WordPress search results so that you can see that this is broader than just marketing. As an interesting comparison, I’m also including [freelancer] search results since those are commonly understood to be even more location-independent than consultants or agencies. What I want you to notice here is how these are general queries done from my home in Denver. 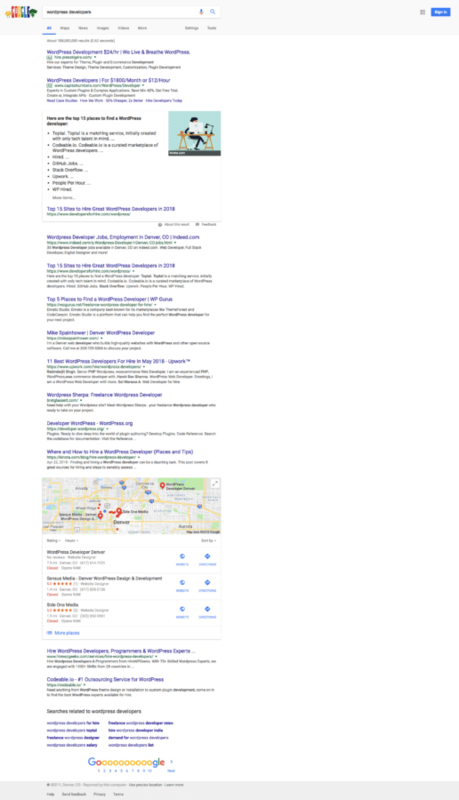 There are decent numbers of ads, and in the organic results we’re seeing some portals as well as many local results. There’s even a Knowledge Panel for a local query. 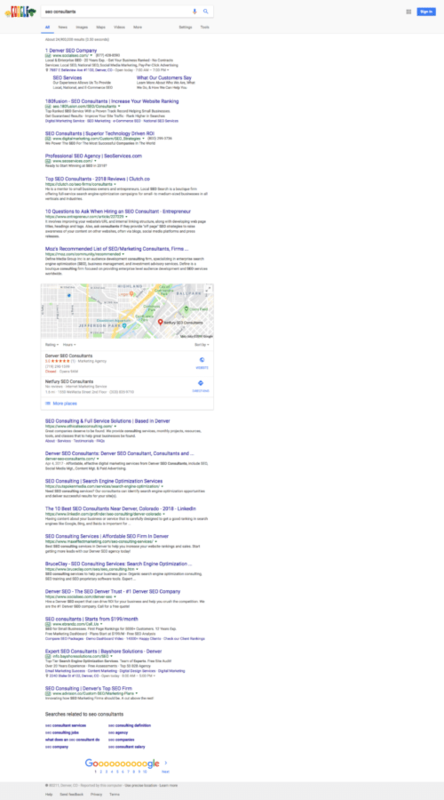 Let me be clear about this section: I do not think Google is doing anything nefarious here, but they are feeding the beast and local advertising is a big business for them. As Google faces pressure to continue growing profits, they’re taking bets in their search results and with their products to keep growing queries and becoming more integrated into our lives. They’re investing in self-driving cars, smart technology, and things like voice assistant. After Amit Singhal left as head of search in 2016 (for a short lived stint at Uber), Google’s VP of Engineering John Giannandrea, a machine learning specialist, took over as Head of Search (until Apple hired him away in 2018). The truth is, a lot has changed in Google’s approach to search in the last few years. 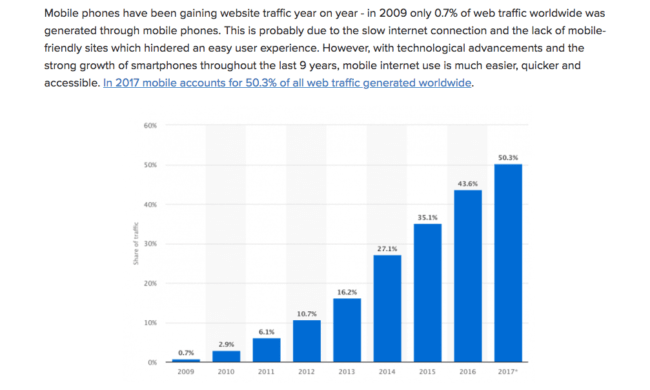 The increase in the share of mobile queries has been the largest driver, and then changes to be proactive about organizing and displaying data themselves, which is a departure from the past when Google and others would make changes reactively to combat things like link spam that were polluting their SERPs with low quality results. Over the last few years, it feels like Google has changed their approach from reactive blocking and tackling to proactively creating their own features and organizing information in new ways to present what they think people want to see. Is this localization of consulting good for our industry? For hyper-local searches like restaurants, Home Depot locations, and veterinarians then localization of results makes a lot of sense to me. 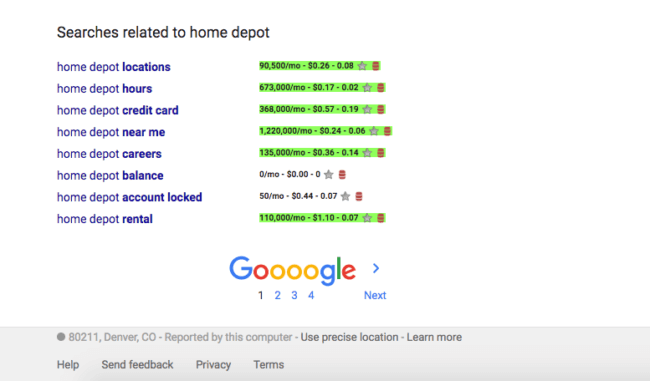 As a searcher, I’m happy when I get these relevant results instead of a Home Depot in California when I’m in Colorado. But does this hold true in the digital realm, where great work can be done from anywhere? Let me state this plainly. After the last three years running my company, speaking with hundreds of agencies across marketing, development, and design, and knowing hundreds of people who work remotely for agencies or for themselves, I believe that Google is inadvertently harming the consulting industry by pushing local on these queries. Most agencies do not focus on a specific locale for their clients. They would quickly tap out their market and not be able to grow their business. If you know anything about the internet then you realize that there is both a huge national and international opportunity for an online-based business. 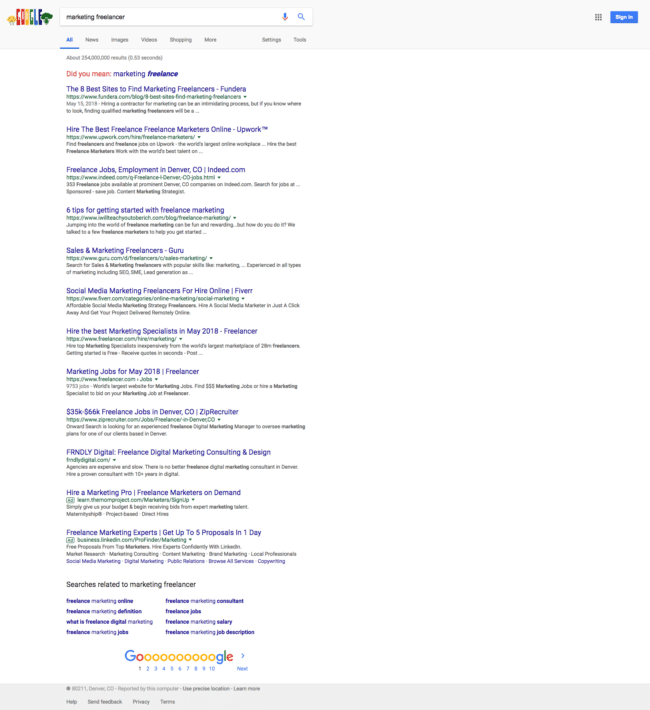 Google has done a lot to clean up their search results in the last few years. I give them credit for that.